Four people are affected by one man’s disappearance: Lucette, his wife, who anxiously awaits his return; Louis, a young father whose relationship with his wife is going through confusing times; Chantal, a hotel receptionist who dreams of sharing her life with someone else; Marcel, an ex-gambler confronted by the realities of aging. 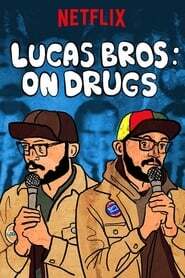 Deadpan twin comics Keith and Kenny Lucas take the stage in Brooklyn with a set that touches on drugs, race, Deion Sanders, teachers and O.J. Simpson. Two young, strong-willed Scottish sisters, one a left-wing activist, the other a most-popular-girl-in-school type, take their late father’s ashes to Cuba, the site of many family legends of his services to the Revolution. Arriving in Havana, the two women promptly lose the ashes and go through a series of misadventrues – both romantic and dangerous – to try to retrieve them. A colourful and wryly humourous tale of cross-cultural misunderstandings and lost illusions. Rudyard Kipling’s Jungle Book is given the full treatment in this lavish retelling filled with huge sets, exotic animals, a large cast and the incomparable Sabu, starring as Mowgli, the young orphan boy raised by wolves. Curious to reconnect with his human village, Mowgli returns only to find disappointment in the greed and treachery of man. Over time, Mowgli and the village members do grow to trust one another, but not before the village finds itself under siege. 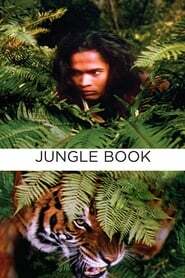 It’s up to Mowgli and his jungle friends to save the day.